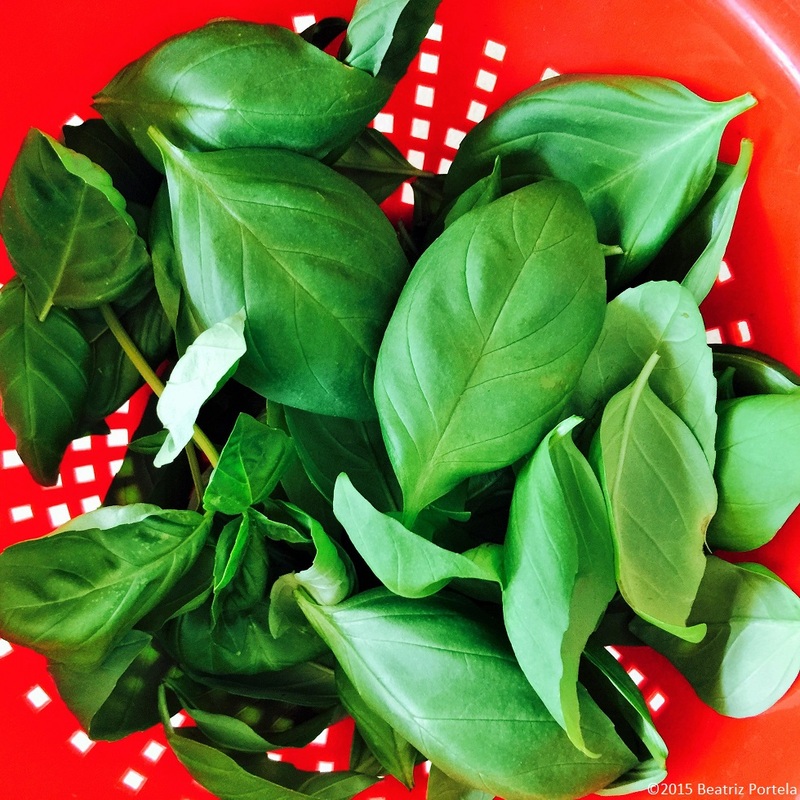 I picked some basil leaves today to use in a Pasta Pomodoro. This is a staple food for me because I always have the ingredients on hand: spaghetti or angel-hair pasta, basil, tomatoes, garlic and extra-virgin olive oil. I sauté the garlic in oil, then I stir in chopped-up fresh tomatoes & basil just to warm them up. Once the pasta is cooked I toss it with the fresh sauce or I pour the sauce on top. Optional: add salt & pepper, to taste; and parmesan cheese. 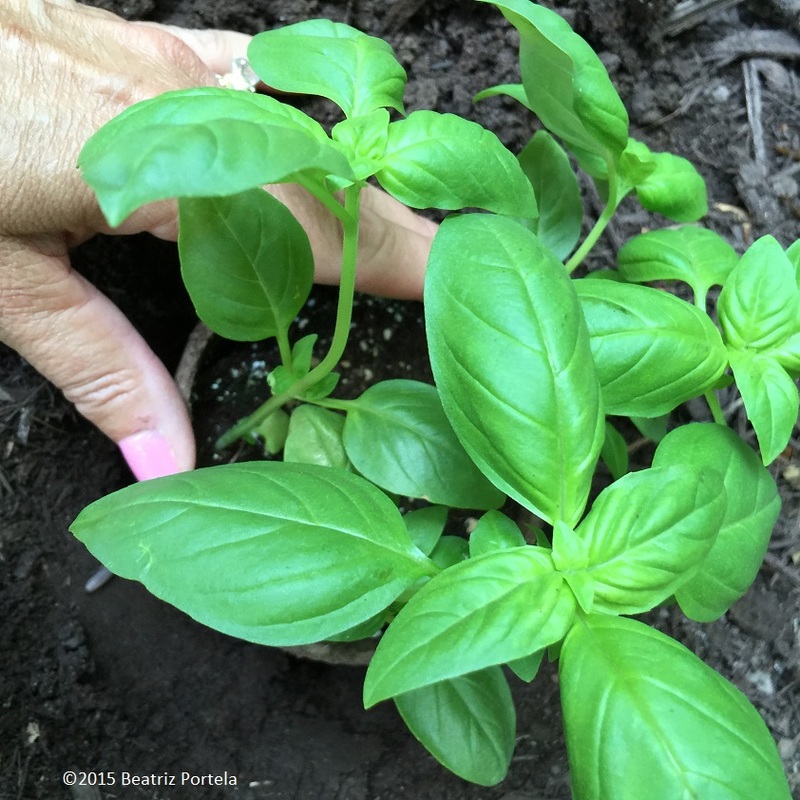 Basil is easy to grow, though it is a little finicky. It grows well either in the ground or in a planter. It likes a good amount of sun and does not like to be over-watered. It is best to let it dry out before watering the soil completely. But don’t wet the leaves if you can help it! If the leaves are wet too much or it sits in water, it can get a fungus (spots on the leaves), especially if you live in a humid place like I do. You can pick the leaves as you need them. 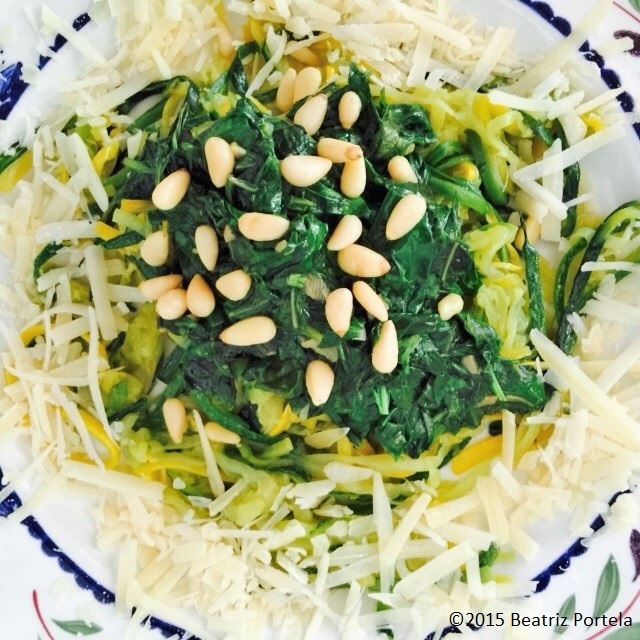 Ideally you should use the leaves fresh. You can also dry the leaves, or freeze for later use. 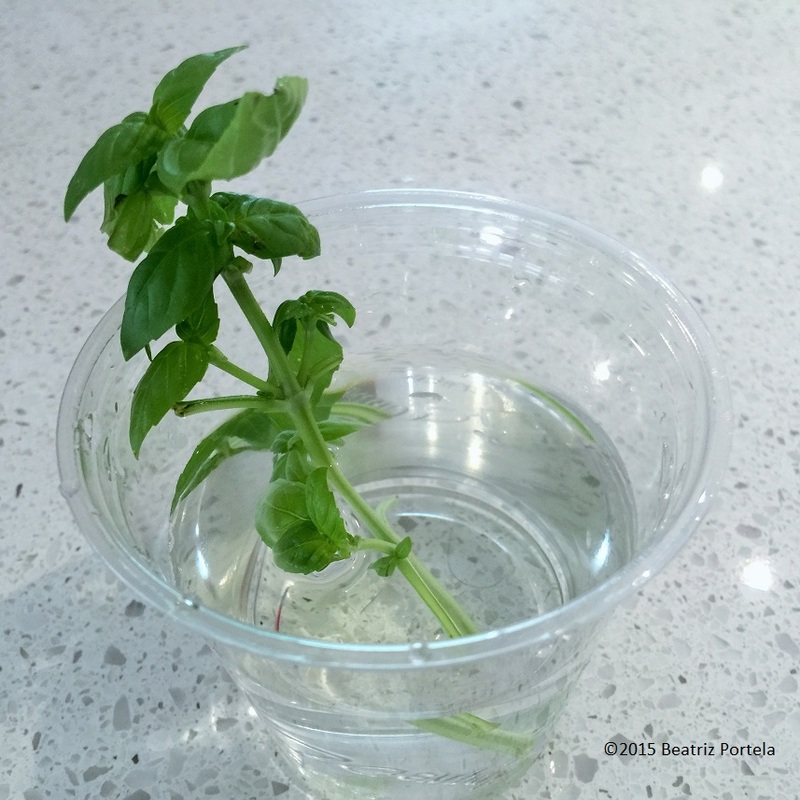 Starting a new basil plant is easy. Just clip a piece off an existing plant and put it in water. The cutting should be similar in size to the clipping in the picture. 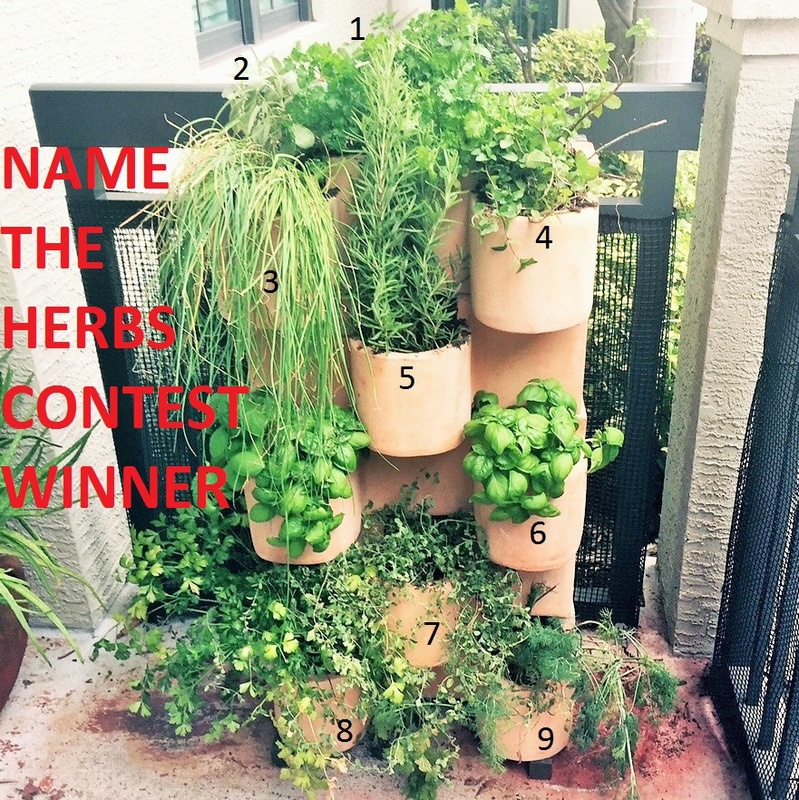 Wait for the herb to grow roots and then transplant it into a planter with potting soil or into the ground. 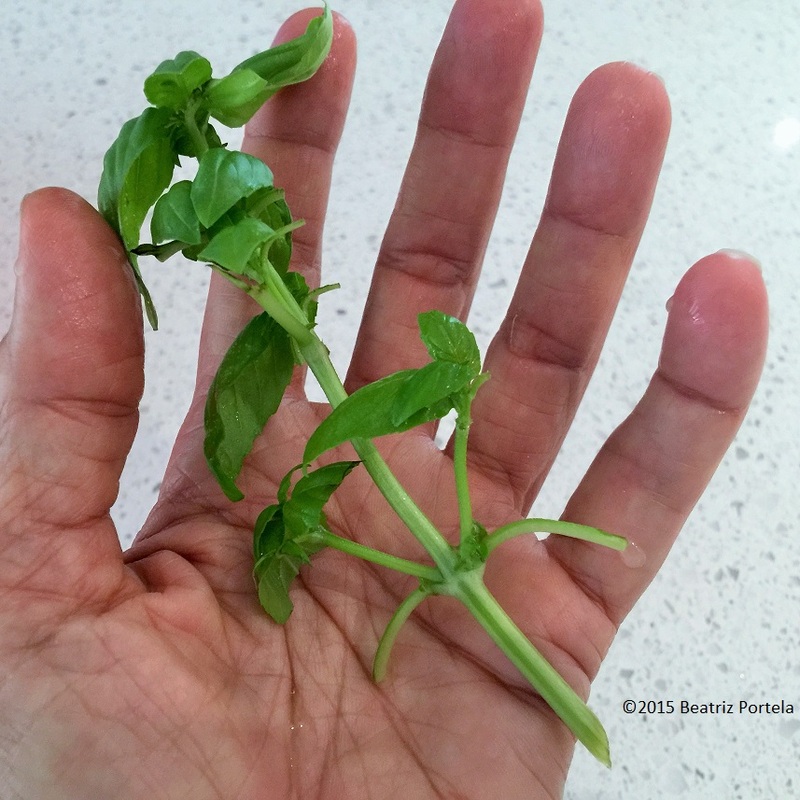 Harvesting a little basil to make a salad from a new plant that I haven’t transplanted yet. 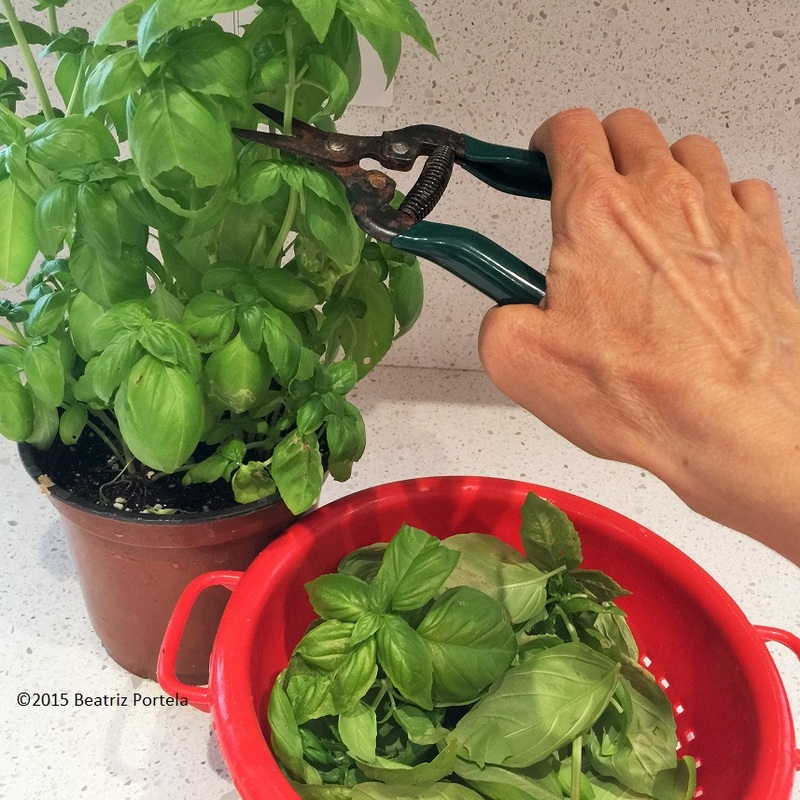 It’s best to cut off the large leaves and tips so the plant will get bushy. Basil is probably my favorite herb. “I want to grow something edible; will you help me?” my sister asked. 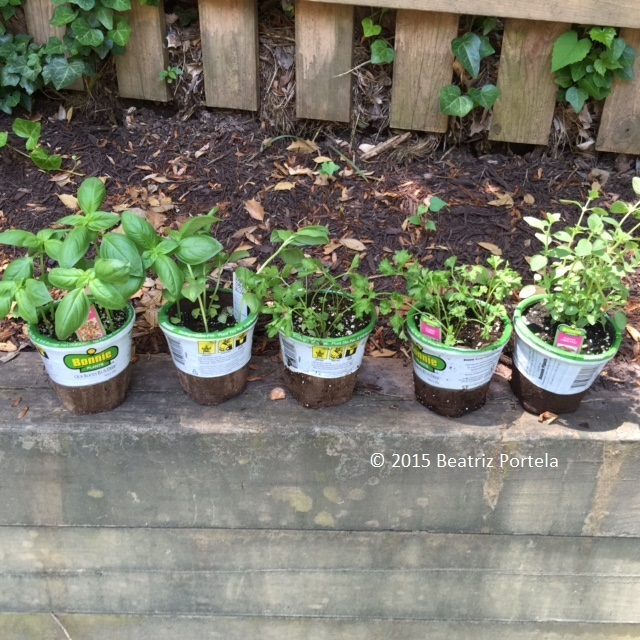 “Sure, let’s plant some herbs. That is the easiest thing to start with. Which do you like to eat?” I said. 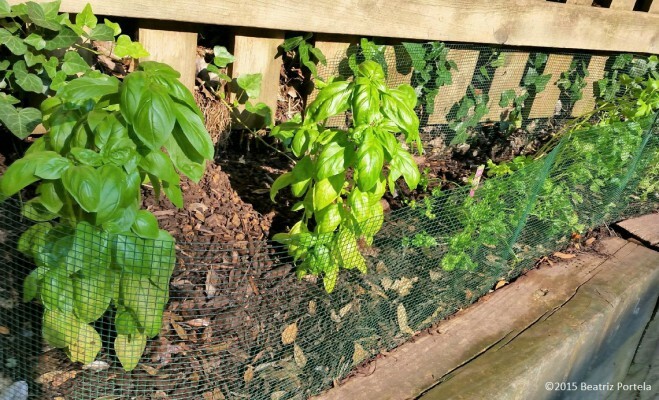 After discussing the different herbs, we settled on Sweet Basil, Parsley and Oregano; and off we went to buy some little plants at the local garden supply. We got back to her house with her new herbs and found the ideal spot to plant them: the corner ledge of her terraced yard. Here they will be out of the way of the lawn mower and next to some begonias she waters regularly. And in the raised bed, the herbs will be easy to harvest when they are ready. Since the herbs were grown in peat planters, all we had to do was dig holes in the ground sufficiently deep to accommodate the little planters, cut off the wrapping on the top of the containers, plop the planters in the holes, then pat the soil around them and cover with mulch. It rained that night, so the plants where thoroughly drenched. The next morning the herbs looked like they had already grown a little bit!